Gather round, armchair SEALs: Gameloft has got another military magnum opus for you. 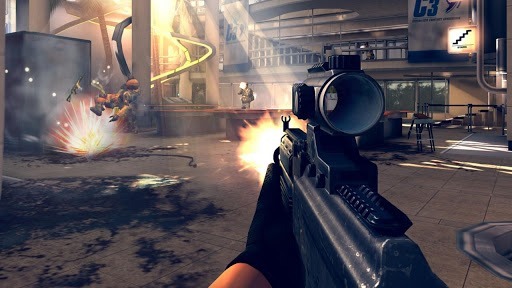 Modern Combat 4: Zero Hour is available now on the Play Store for seven bones, and purports to work with Android 2.3 and up. But since this series tends to push the boundaries of mobile graphical power (if not originality,) you'll probably need a relatively new Android device to run it well. You'll also need a good bit of space - it weighs in at nearly 2GB. 8GB Nexus 7 and Nexus 4 owners, clear up some room. 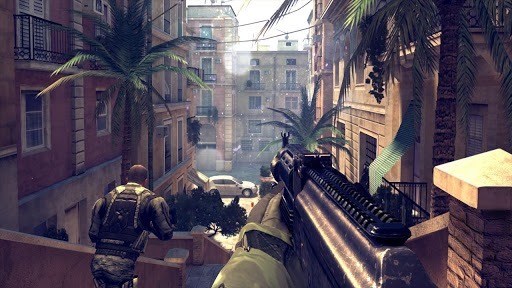 The standard gung-ho FPS tropes are present: single-player mode with squad-based combat (heavily influenced by Black Ops 2, by the look of it) and online team-based combat. The campaign mode features full voice acting and the ability to play as the villain - try not to cackle with maniacal laughter. Gameloft says that it's using the Havok engine, the same thing that powers the latest Call of Duty games and Assassin's Creed 3. 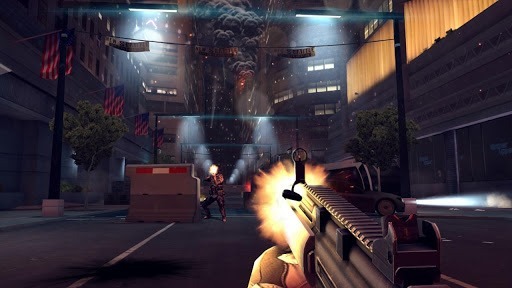 Changes to the multiplayer mode allow for a lot more customization, with thousands of combinations of weapons and gear. If you're a fan of the series, or shooters in general, $6.99 is a pretty good price for an ambitious project like Zero Hour. Start downloading it tonight and you might just be able to play it in the morning. Update: ...aaaand Gameloft has pulled Modern Combat 4 from the Play Store. We've reached out to see what happened, but it seemed like a lot of people were having compatibility issues. Update the Second: Gameloft responded to our inquiry. "The game is temporarily down while we investigate some problems users were having downloading the game. We hope to have it back up on Google Play ASAP." Update the Third: It's back! Bang! Bang bang!